Karen Tyrrell Resilience Author – Educate. Empower. Engage. Calling writers of children’s books. 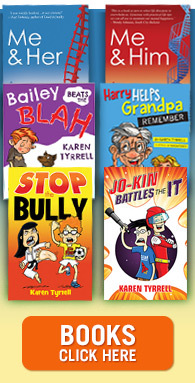 Karen Tyrrell, multi-awarded author presents Write & Publish a Children’s Book Masterclass. Kickstart your writing in 2019 with practical ways to write and publish your children’s book. 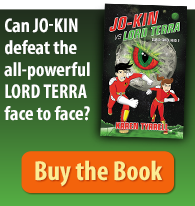 Writing workshops for children create superhero authors of the future! KAPOW! Today, I was thrilled to present my 4th Superhero Writing Workshop for Brisbane City Libraries in the Summer Reading program. Kids, supercharged with story writing powers, created original Superhero stories, jam-packed with SUPER powers, SUPER action and SUPER villains! 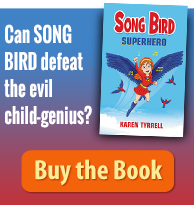 Superhero Writing Workshops for Children! … I’m thrilled to announce, I’m presenting 4 Children’s Superhero Writing Workshops … And they’re absolutely FREE! YIPEE! My dream for 2017 was to present writing workshops in Brisbane City libraries. And its finally come true!! YAY! I’m now a Writing Teacher for Queensland Writers Centre. I will be presenting writing workshops at Brisbane City Libraries on behalf of Queensland Writers Centre. YIPEE! I present my first gig this Saturday. YIPPEE! I’m celebrating! … I’m finalist in the 2014 Mental Health Week achievement awards. As an initiative of Mental Health week, I was an invited guest of PA Hospital Brisbane, and had the opportunity to share my personal experiences with the patients and staff of the mental health wing, of how I manage my Bipolar Disorder and Post Traumatic Stress Disorder. Books From Our Backyard at the State Library of Queensland.